Emily Utts (Outstanding First Year Teacher for SLPS) is a winner on the field and in the classroom at Fort Pierce Central High. 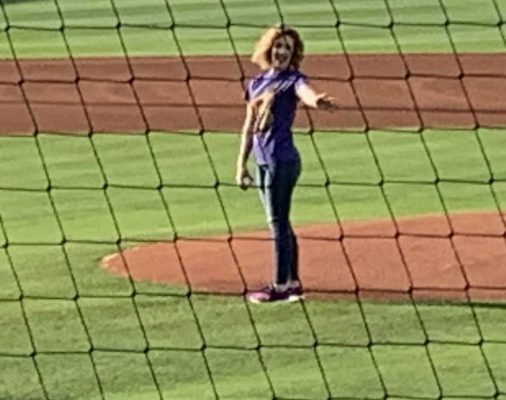 Emily threw the first pitch at Friday’s St. Lucie Mets game. Way to go! There’s more! SLPS will be represented on the field at upcoming games. Plan to attend and show your support!